Two are short and two are long. 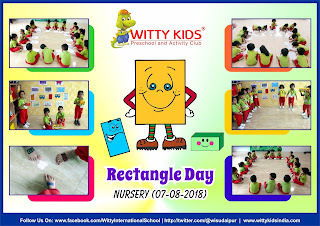 Rectangle shape was introduced to the little Wittians of Nursery at Witty International School, Udaipur. The little ones were happy to see their class decorated with different rectangle shape objects, flashcards, cutouts etc. 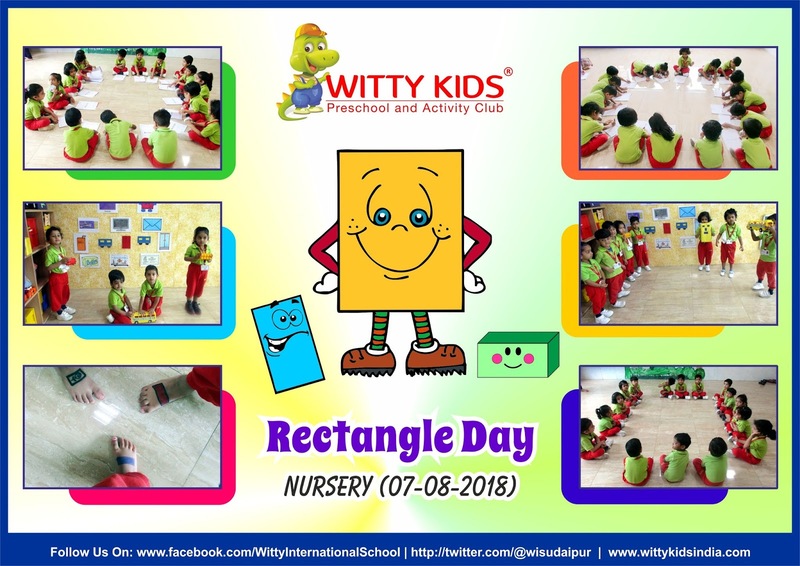 The teacher introduced rectangle shape by singing rectangle rhyme and showing them different rectangular objects. Children enjoyed walking on the rectangle shape outline and they also enjoyed doing rectangle art sheet. It was a fun learning experience for the little ones.